I recently became VIB at Sephora and you could imagine my excitement when I found out that they were having a spring sale 15% Off for VIB members. Of course, I had to get a few makeup products. I ordered this Urban Decay Naked 3 palette, Dior Capture Total Foundation, and Sephora Collection Stylographic Fine Line Micro Thin Felt Liner. Since I haven't got Dior foundation yet, I'm going to show you Urban Decay Naked 3 and Sephora Collection Stylographic Fine Line Micro Thin Felt Liner. I know, I'm too late to Urbad Decay eyeshadow palette madness but it's better later than never. The reason I got this particular palette is that I'm all about rose gold, pink, blush shades this spring and I wanted to try these warm shade palette. It came with Urban Decay primer samples in 4 different shades, that was really nice. Since, I haven't tried Urban Decay eye primers yet this is a great opportunity to find out whether they will work for my skin. When I opened this palette I absolutely loved how all these shades looked, loved the double-end brush, and a big mirror. The shades were so beautiful that I took off the makeup that I had applied in the morning, to apply new makeup using this eyeshadow palette. And after I touched the brush to the shadows, my excitement slowly disappeared because these eye shadows were not as pigmented as I expected. I had to use too much product to see the colors but I have to say, finished eyemakeup looked absolutely gorgeous. (I may do one post showing you my eye makeup using this palette.) To be totally honest, I'm still thinking whether I should keep it or no. Which eye palette (with warm shades) would you recommend ? 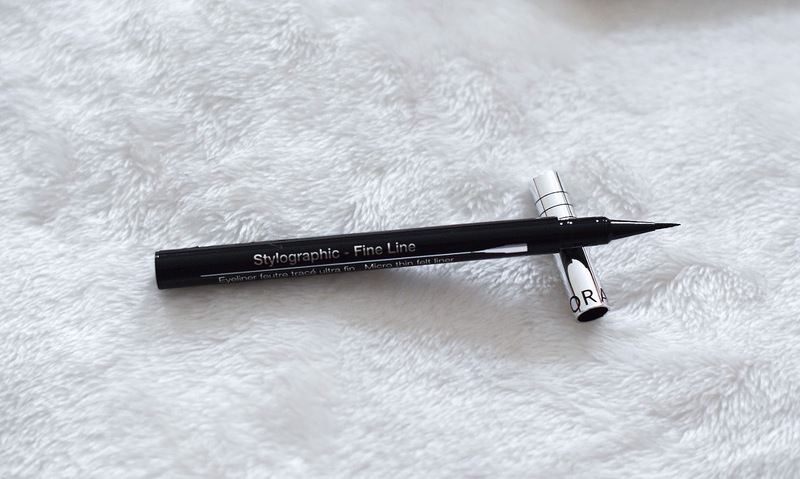 And here is Sephora Collection Stylographic Fine Line Micro Thin Felt Liner. This eyeliner is incredible, and more incredible was the price __ it was only $14. This eyeliner applies so smoothly, it glides on the skin, it's super fine, it's waterproof and looks gorgeous on eyes. Unfortunately, it's out of stock now. Have you tried any of these products, let me know in the comments below and have a fabulous day. Great products and beautiful pictures! Idk if it's the general formula of UD shadows, but I've had that problem with a few is their palettes. I need to use eye drops to dampen my brush and intensify some of the colors b/c they don't really show up much otherwise. Nonetheless, their shadows are pretty, I wanted to get this one myself. Thanks for sharing, beauty, and I hope you're having a great week so far! Love the shades in this palette. That thin eyeliner looks awesome! I need to try asap. Que maximo amei a paleta com cores linda, obrigado pela visita. Yes to the eye look, Nina! I love the original Naked palette because it's very pigmented, give that a try? I was about to buy the original one, but again, because of the shades, I chose this one. Next time, I will probably get the original one too, if it's more pigmented, Shireen. lovely, definetly Need to buy my very first naked Palette as soon as possible. I want to try this eyeliner ASAP based on your review! I really love the colours in the palette. Need to try the eyeliner! Sounds amazing! Congrats on VIB status! You picked up some great items at the sale, and you really can't beat the Urban Decay eye shadow palettes! I have the Naked 3 palette. You are going to love it! Great quality shadows! Congratulations for becoming VIB. I love the naked 3 palette! i hope you love it as much as I do! I have no eyeshadow palette recommendations, but I need to try that eyeliner. It sounds perfect. I love Urban Decay!! 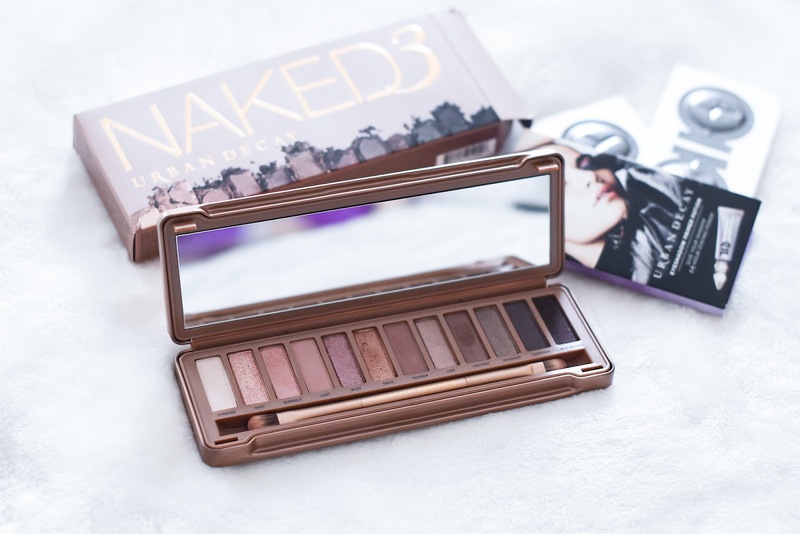 I have the naked2 palette but I would like to try the naked3!! Thanks for sharing it with us! The Naked palettes are a fave of mine! Urban Decay Naked palette is my go-to for daily use. I love it! I do like the Naked 3 much as I like 2 better. You should keep it though, Will come in handy someday. What a beautiful palette. Liking the earthy tones. We dont have a Sephora here in the UK (SOB). Love the palette though, Zoeva do some lovely pallettes with warm tones in! The palette looks great and I'd love to try the Sephora eyeliner. Urban Decay has such great palettes. Their colours are so pigmented and pretty! The Nakd3 palette seems to be notoriously popular, I have to give it a go! Such a pity to hear the eyeliner is out of stock though, as I'm looking for a liquid liner right now to try. Have a great week! I love your make up collection, Nina! 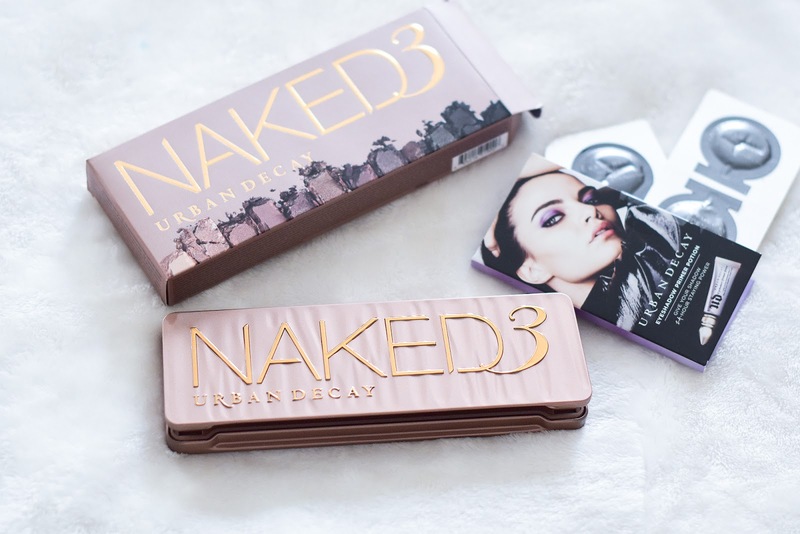 Perfect Urban decay palettes. I think that's the one I have.